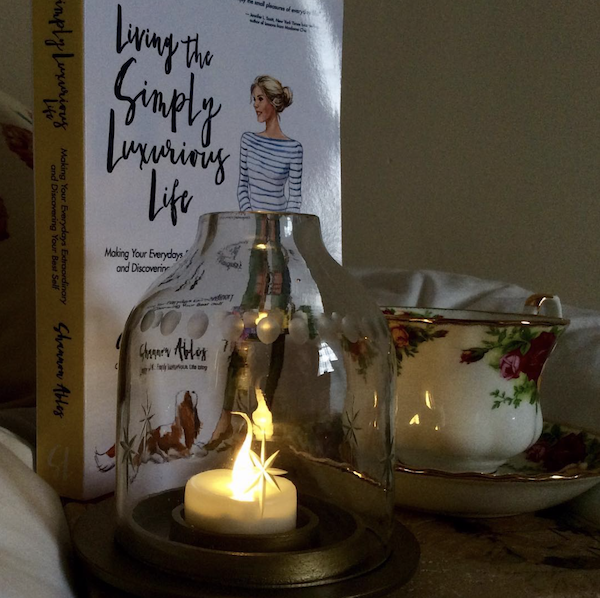 Let’s travel around the country and the world to discover a glimpse of how TSLL readers live simply luxuriously! 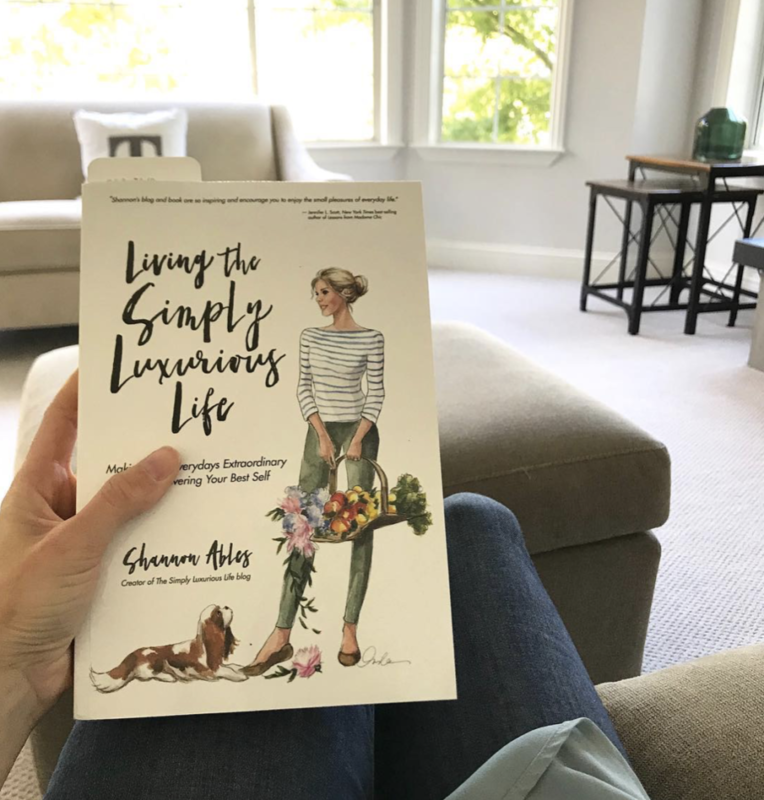 Last month when TSLL’s 2nd book was released, I invited readers to share a pic of their copy, and as you will see, each reader shares a unique moment of their very own to savor. 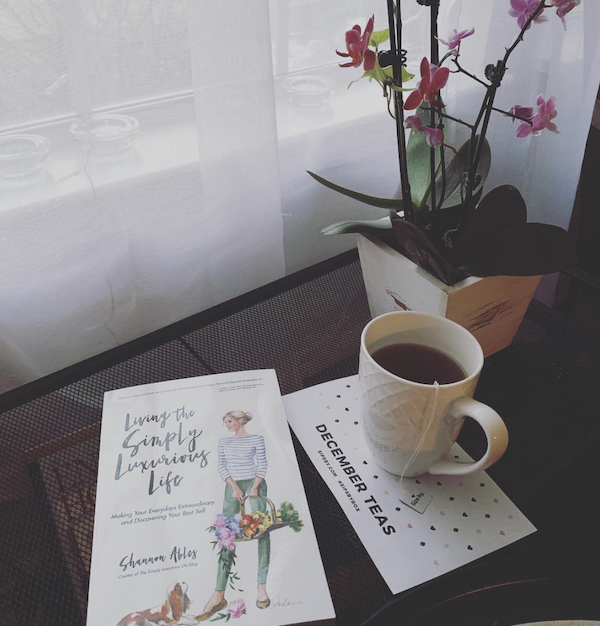 From moments of snuggling in with a cup of something warm while the snow fell outside, to being paired with chocolates, paired with wine and so many cups of tea, TSLL readers have great taste and uniquely beautiful lives which is a pure delight to see. 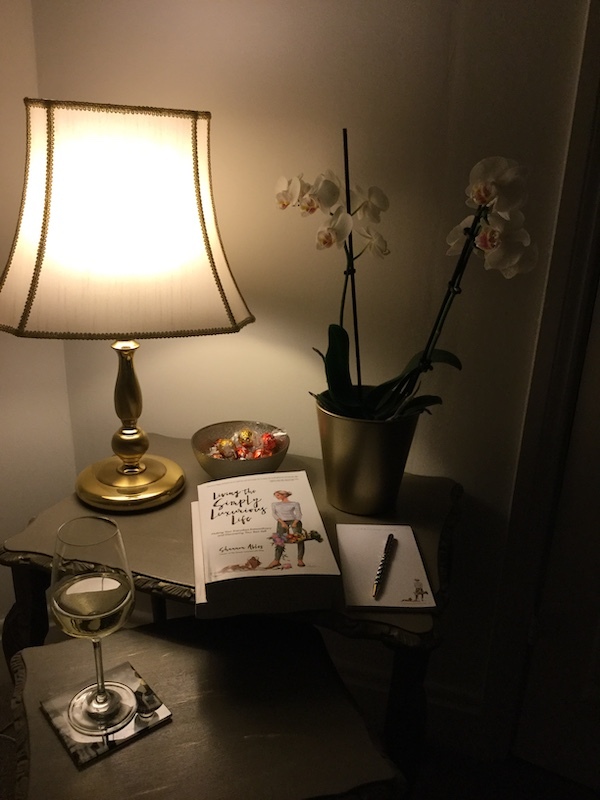 From France to England to Canada to Austria, readers shared in their own way and I just want to say, Thank you. 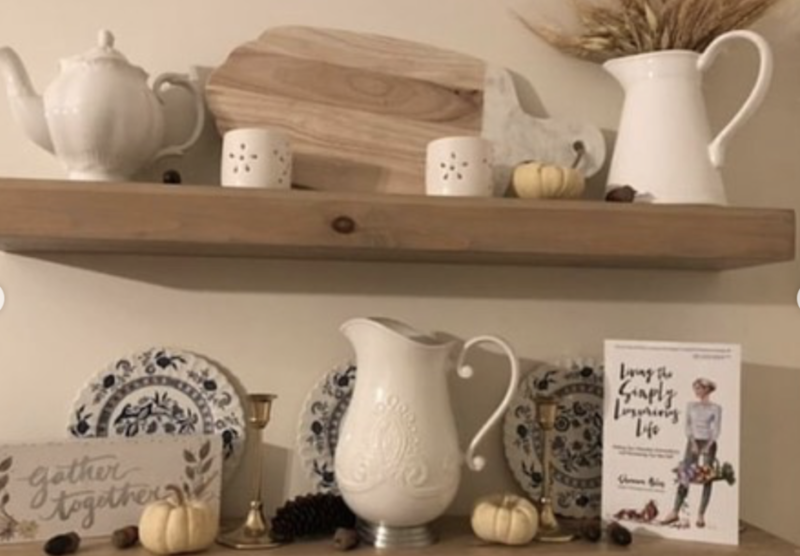 Thank you for sharing a moment with us all, sharing what you love, sharing how you cultivate contentment and sharing what you love to visit when you stop by, tune or watch the simply luxurious life destination. As you scroll down through the many images and captions, I have included the comment shared with the image and linked to their Instagram post when possible. Some images were shared via email, and in those instances I indicated the reader by including their first name and last initial. 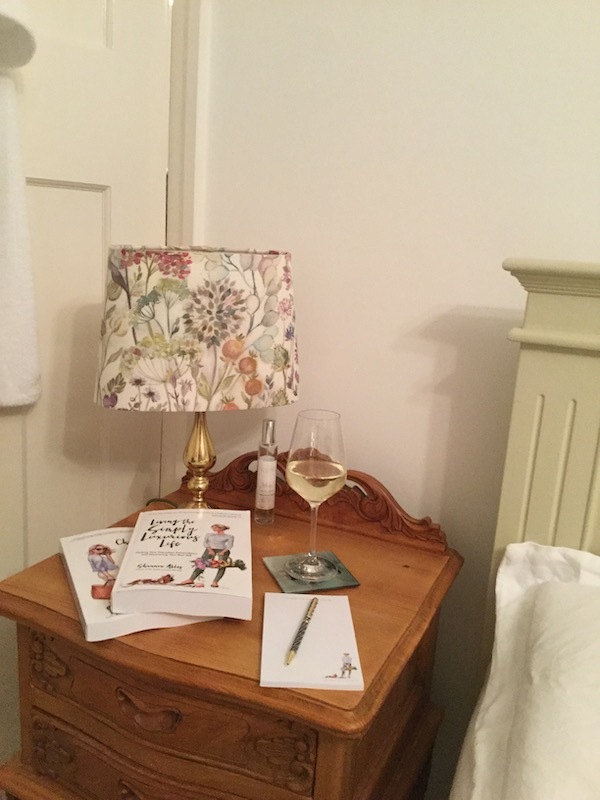 The final reader image is paired with a detailed letter from a reader in NYC who volunteers weekly at Metropolitan Museum of Art, and I encourage you to read it. 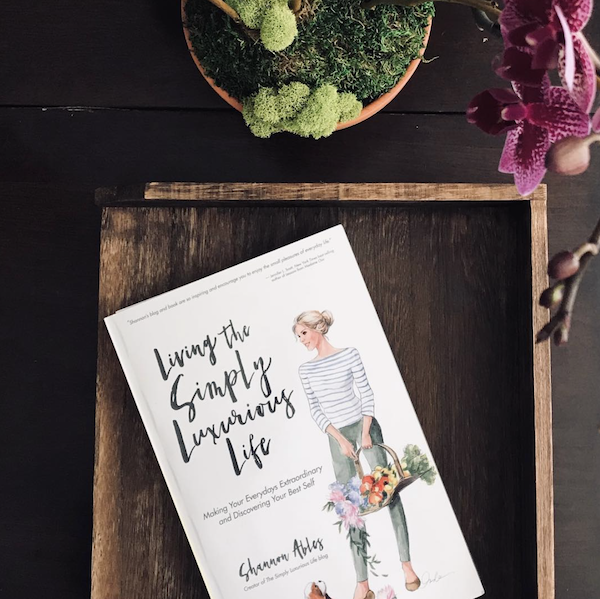 As far better than I can explain, Alec describes and embodies what living simply luxuriously is truly all about. 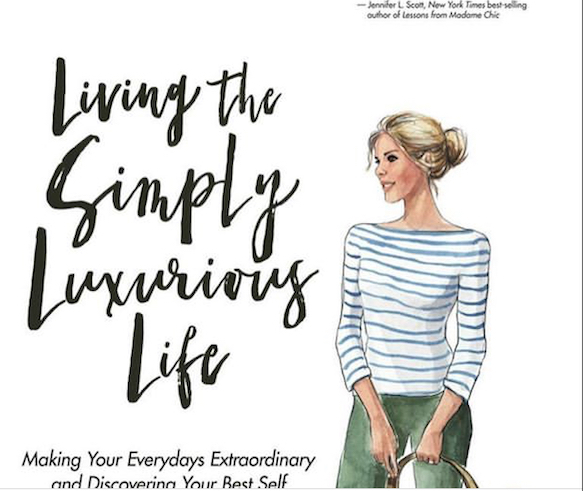 So excited to get to reading on the beautiful beaches of South Carolina😊🌺🌴 every Monday I look forward to this #simplyluxurious podcast! 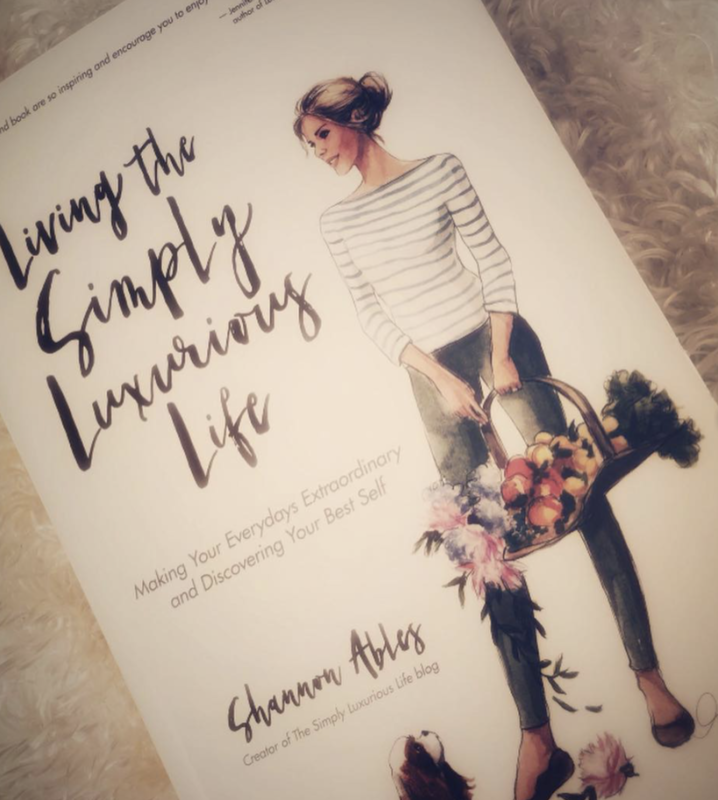 ~@louised_1987: Since reading Shannon’s @thesimplyluxuriouslife first book Choosing the Simply Luxurious Life, I am finding a subtle shift in my daily life. Aside from food shopping, I am finding myself shopping for myself a lot less. The pot of tea I brew with loose leaf tea has made an appearance in the afternoons. Pretty teacups and saucers are used everyday. Instead of a quick sandwich for lunch, I’m finding myself cooking lunch instead. 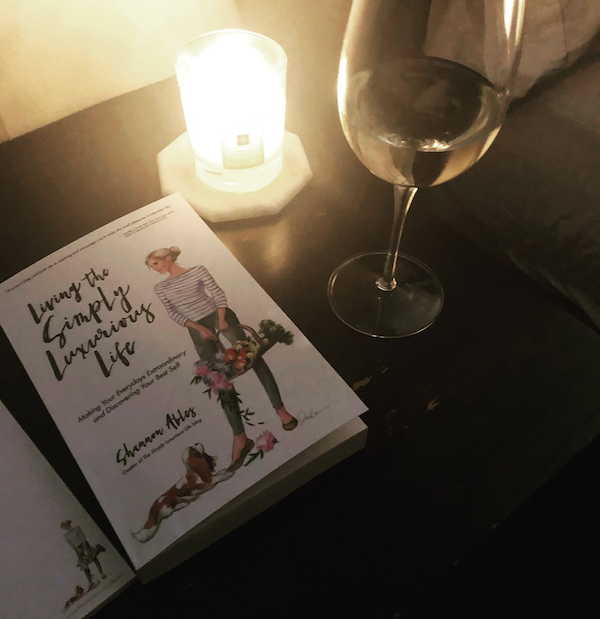 The biggest switch I’ve noticed is that I’m logging into IG a lot less and reading those hours away instead of browsing and losing hours without even realising. 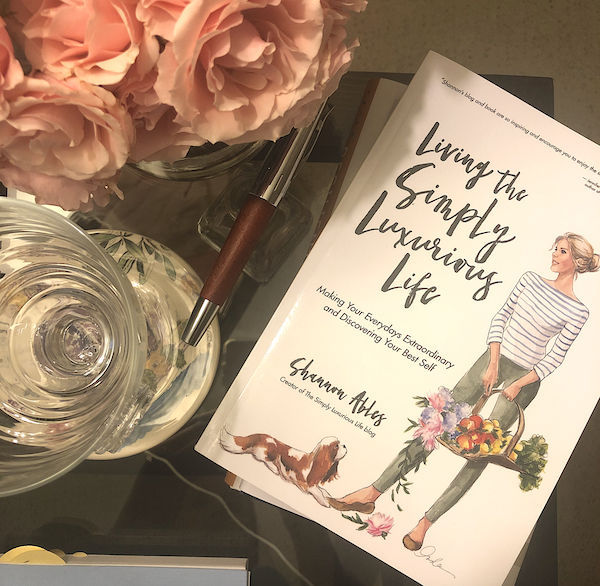 My luxury changes are not expensive, but they are adding value to my everyday. 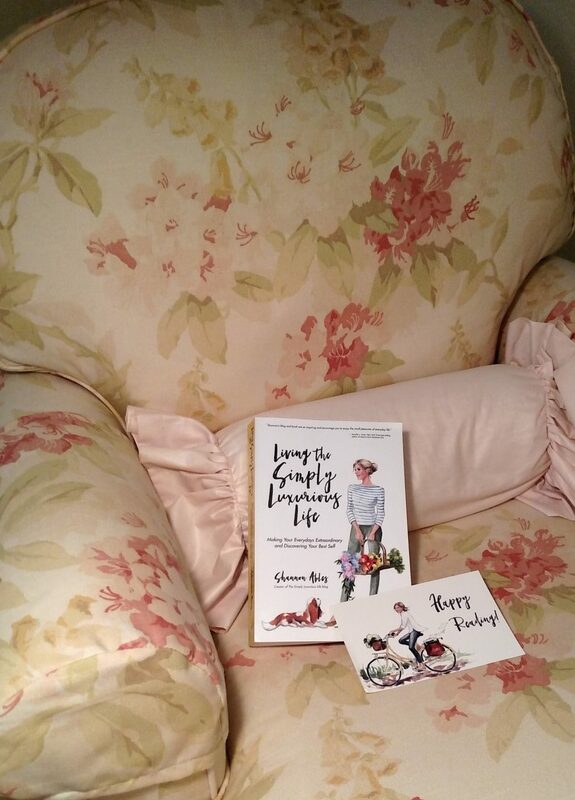 ~@mmjarvis1009: Just received my copy of @thesimplyluxuriouslife 2nd book. Looking forward to reading it. on your books! 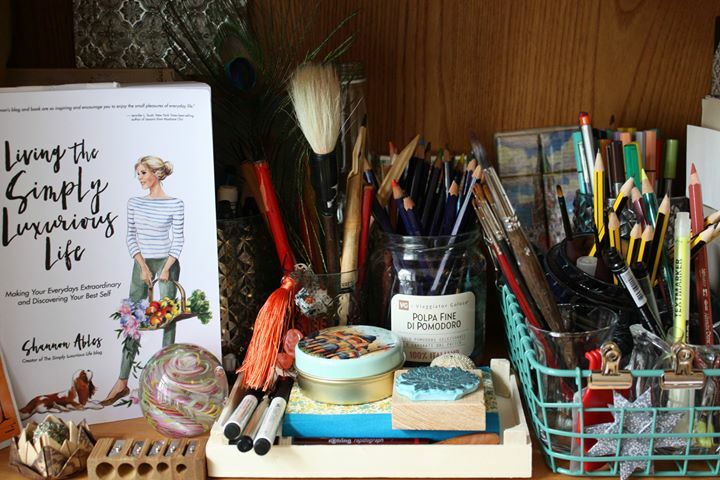 I’ve learned so much from you, especially how to curate my style. While I have always had an idea of what I liked, your suggestions pulled it together. I look forward to all your posts this year. You young ladies are a joy and inspiration. ~@Chelsea_nichole5774: A wonderful treat arrived in the mail today! 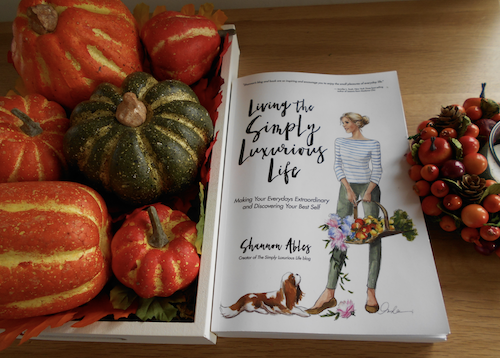 My preordered copy of the new @thesimplyluxuriouslife book came, and I am overjoyed. 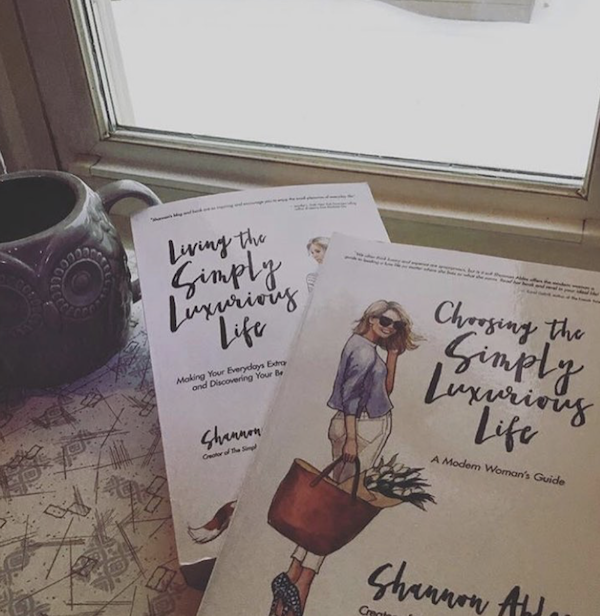 From what I’ve read so far it is amazing; well done, Shannon! You are so inspiring. ~from Molly: Thank you again, I’m only halfway through but I LOVE it! Also wanted to say thank you for all of the work you put into your podcast. I just had to take an 830 mile road trip and it was so nice having something thoughtful and intelligent to listen to. 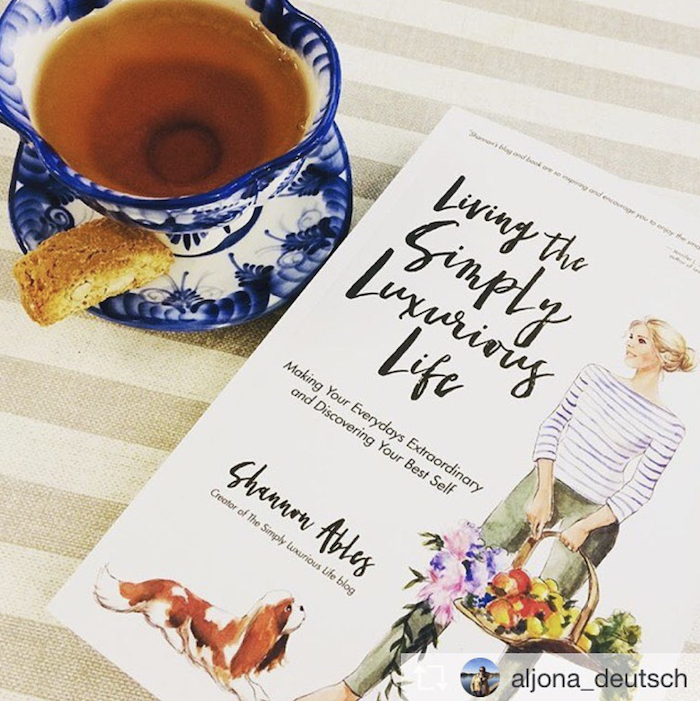 Sarah Deeks of Live Chic and Well shared this pic along with her review of the book: I appreciated the ever-practical and easy-to-implement suggestions on ways to improve my own everydays. 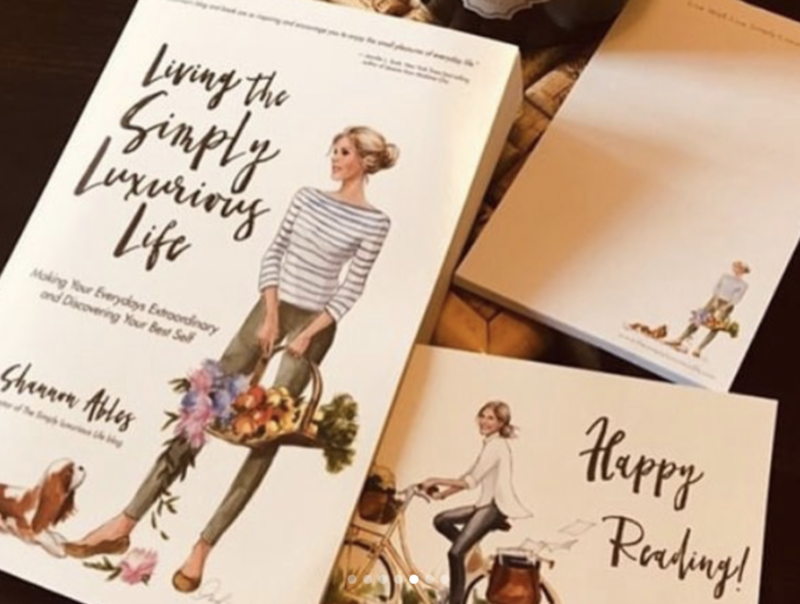 The reader is gently probed to examine aspects of their lives that they may be dissatisfied with and to consider how to take steps to make improvements and inch closer to the lives we dream of. When we adopt a different perspective and take positive action, anything seems possible, don’t you think? 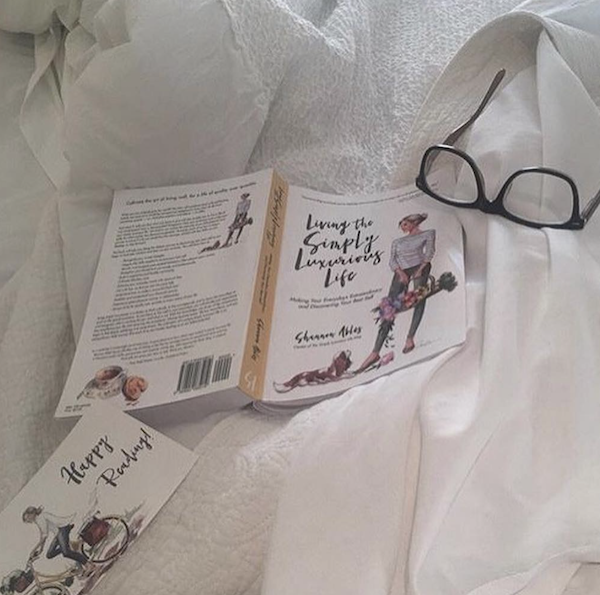 2nd book is the perfect way to start the weekend. 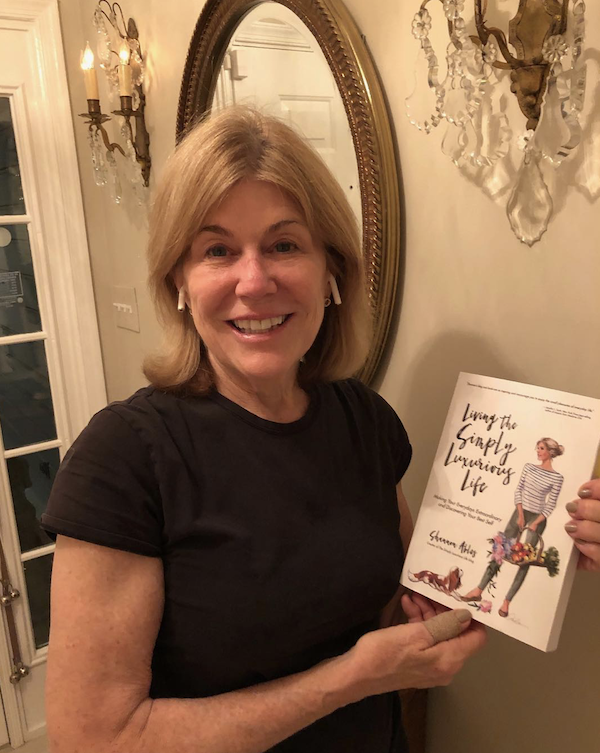 I was so honored to have my testimonial included! 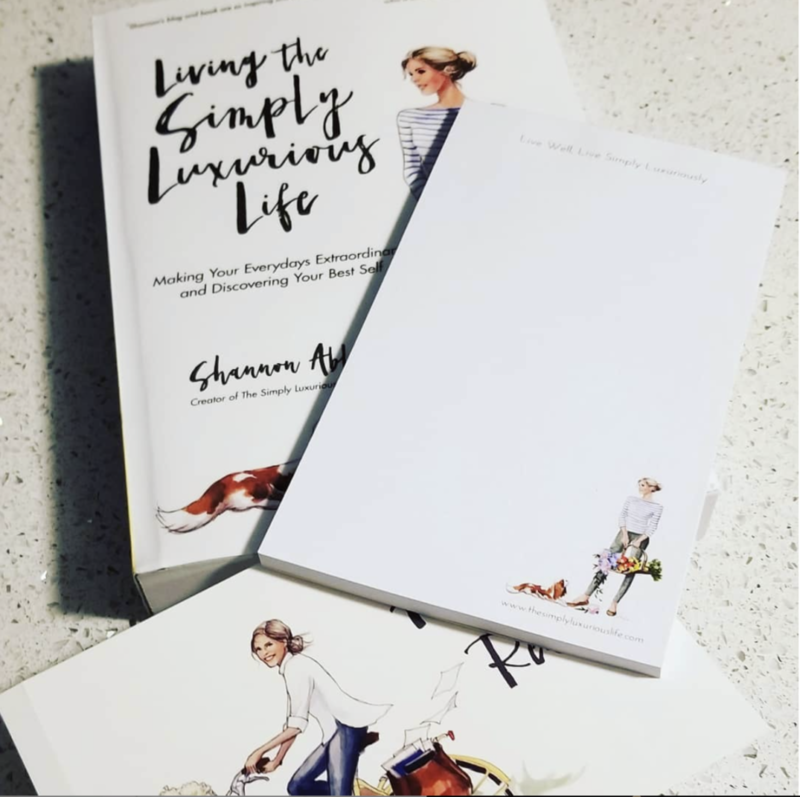 I have followed Shannon’s blog and podcast for years and she is the real deal when it comes to advice on living well and embracing the sweetness of life. 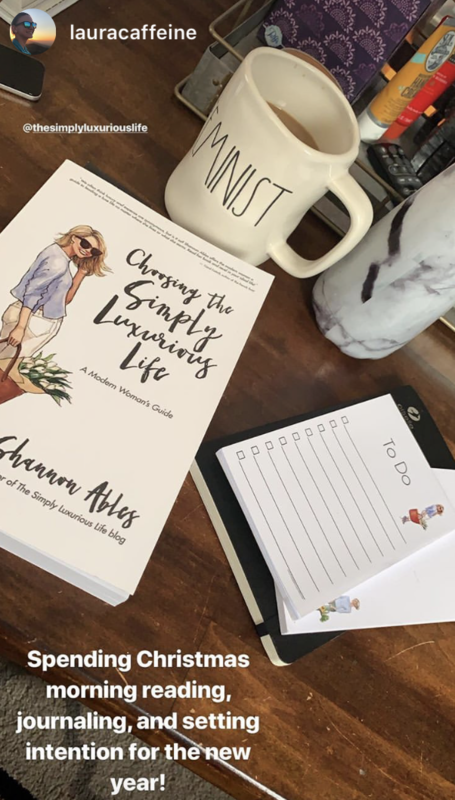 ~@homewithatwist: Tune into my podcast coming up soon where I talk about Shannon Ables. 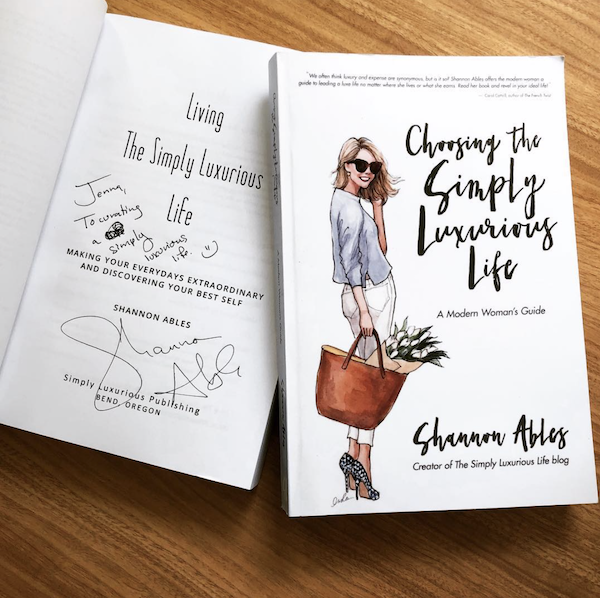 Her books and podcast @thesimplyluxuriouslife are my favorite thing right now. 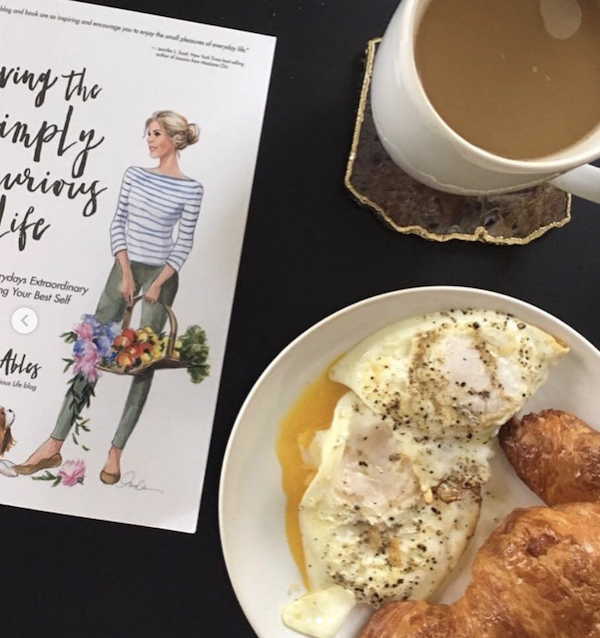 Like almost up there with naps, bakery cake and peonies – that good! 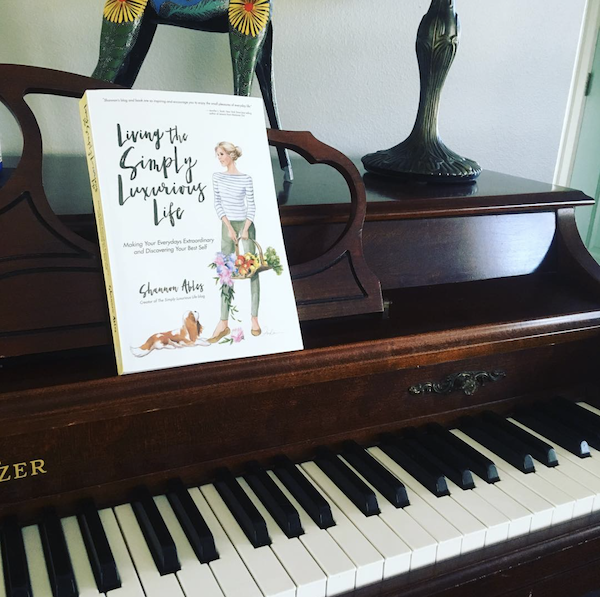 ~@margidehlin: I am so happy to have THIS new book in my hands! 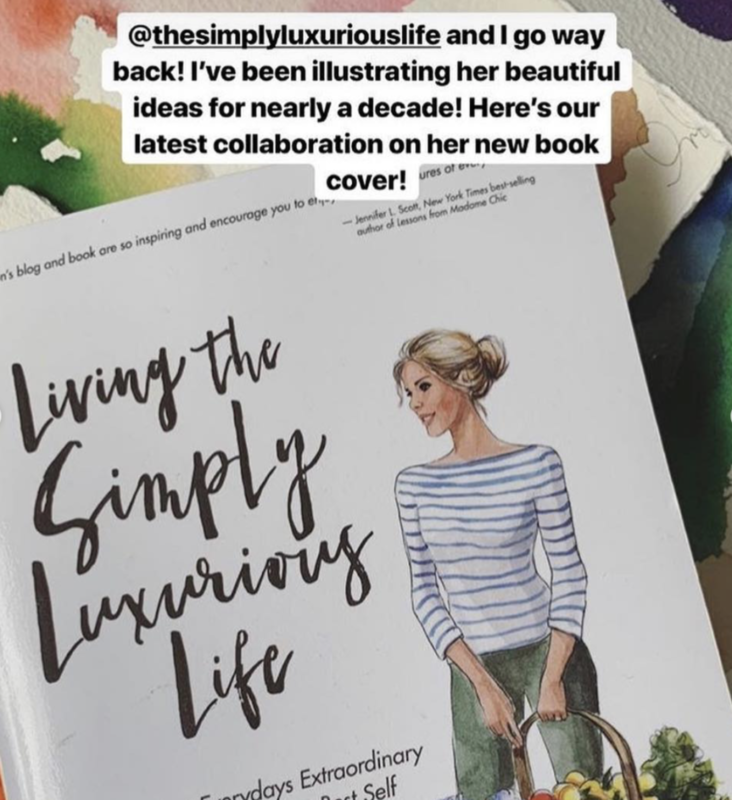 Thank you @thesimplyluxuriouslife. Entertained and oh so proud! 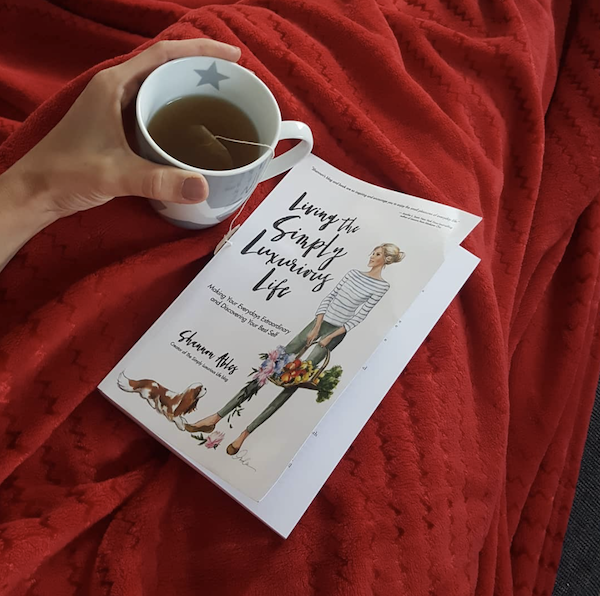 I’m so incredibly excited to be sitting down with a coffee and diving into another amazing book by this incredible woman 💝 . 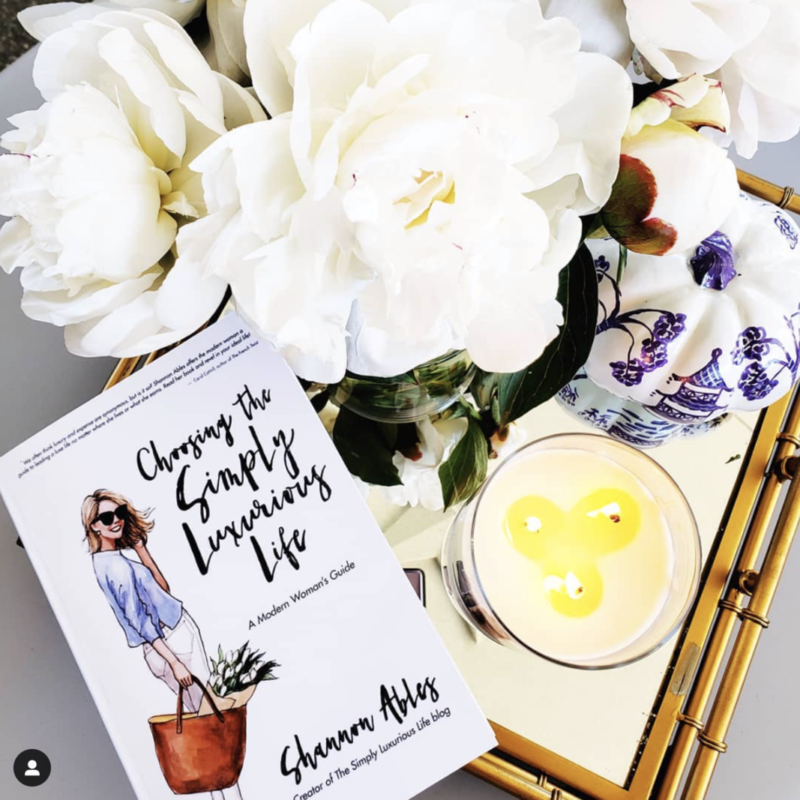 What book have you read that totally opened your eyes to something beautiful and new or changed how you perceived something?! 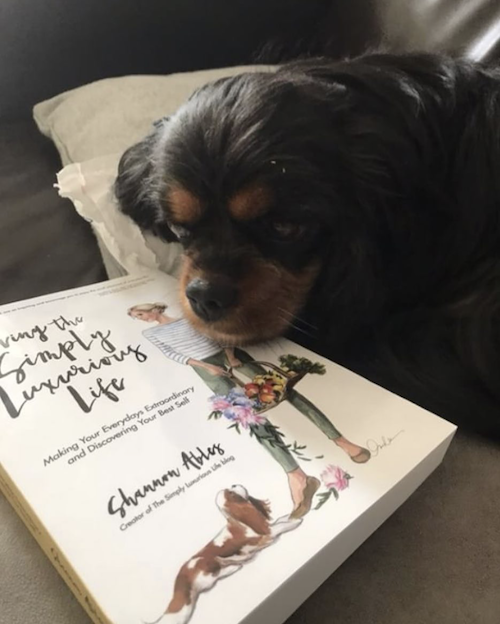 Have you read Shannon’s book? The photo below [to the left] might not seem like much, but it was actually taken at the Metropolitan Museum of Art in New York City. On Sunday mornings I enjoy a solo stroll across Central Park to the museum on the Upper East Side. I spend the next three hours greeting museum guests from around the world in hopes that they fall in love with the art there just like I have. After my volunteer shift ends, I head downstairs to grab lunch at the cafeteria. 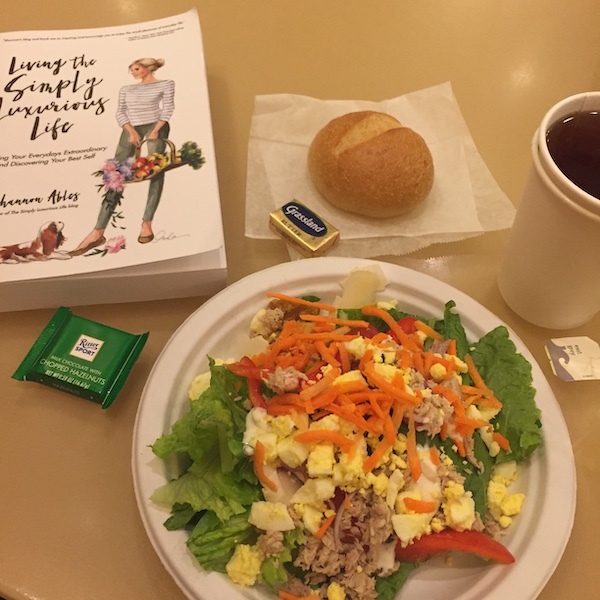 I always get the salad bar with a dinner roll, a cup of Earl Grey tea and a piece of chocolate. I enjoy my Sunday lunch it’s the same corner table – it’s tradition! 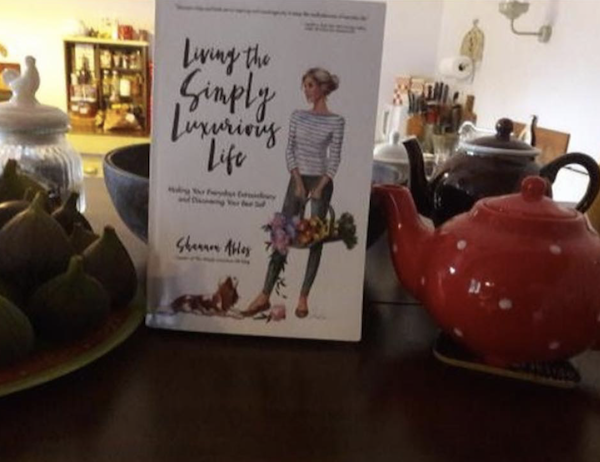 Once I’ve finished my meal, I sip my tea, savor my chocolate candy, and read a good book such as Living the Simply Luxurious Life. This might not seem glamorous to others, but it’s a routine I look forward to enjoying on Sundays. 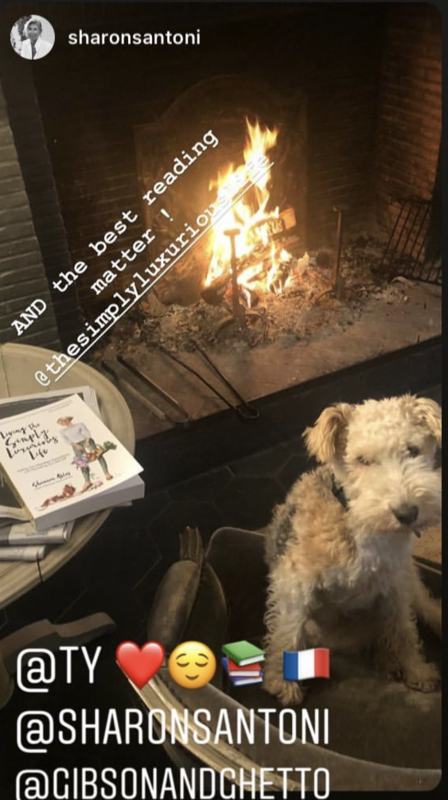 Thank you for helping me understand that a luxurious life doesn’t necessarily equate to brand labels or expensive things. 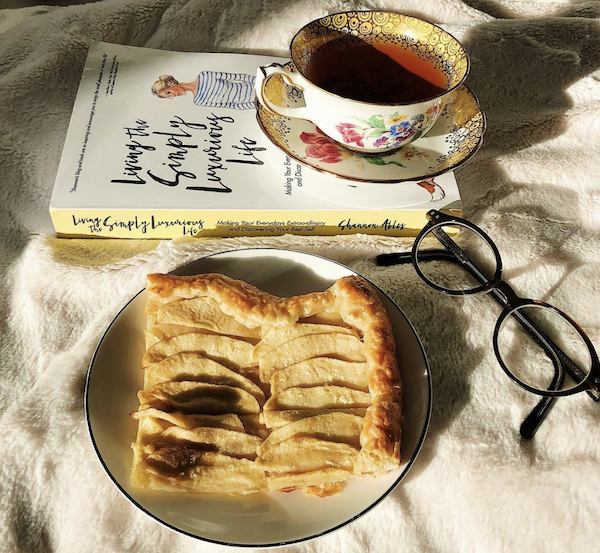 It can be as simple as getting lost in a book over a lovely cup of tea! 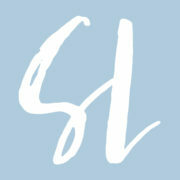 To each of TSLL readers, thank you all for sharing. 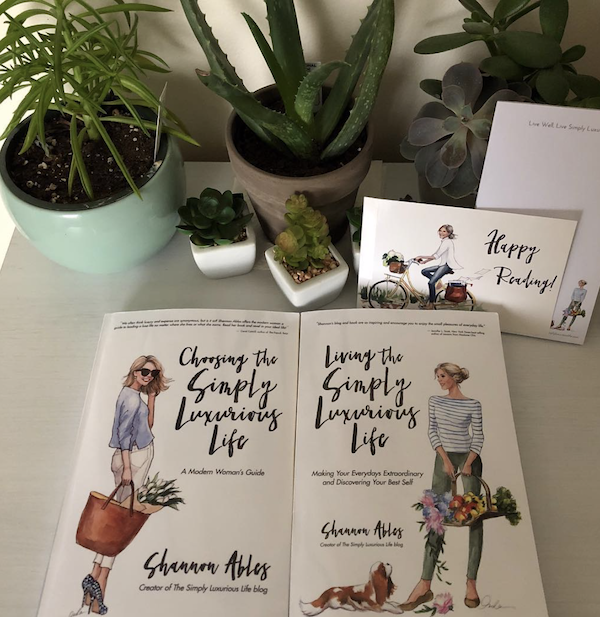 As you saw in some of the images, there was a special, new TSLL notepad with the exclusive Inslee cover girl illustration that was delivered with each of the preordered, signed books. You too can order this notepad now. 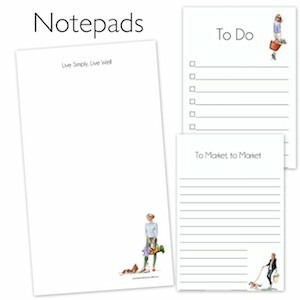 The updated TSLL Live Well notepads are now available to order in TSLL’s Shop. 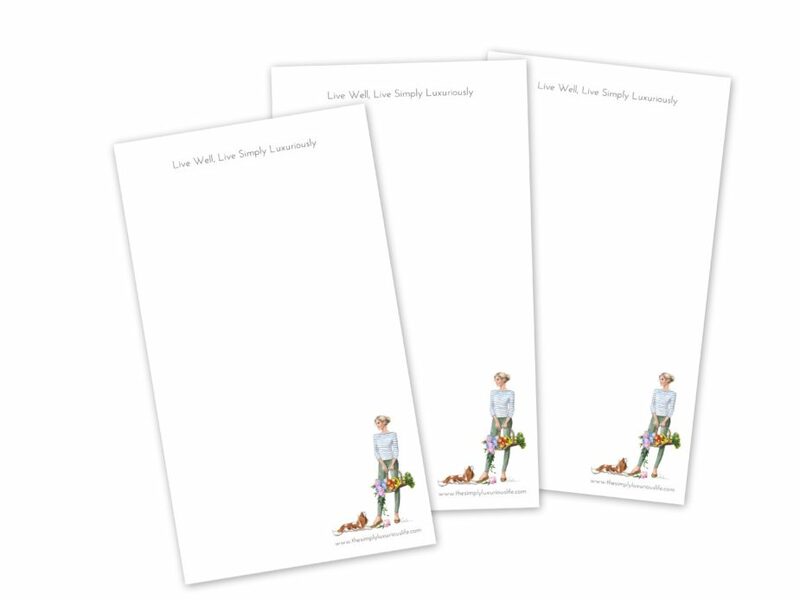 Available in a single 50-sheet notepad, measuring 4″ x7″, or a 3-Pack, “Live Well, Live Simply Luxuriously” notepads are available along with each of the other notepads – “To Do” & “Market to Market”. 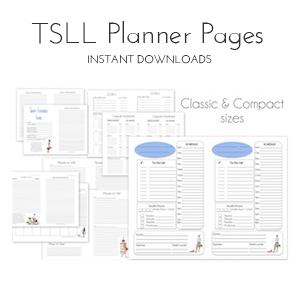 AND through Friday January 4th use promo code LIVESL15 for a 15% discount off any order of Notepads, Signed Copies of TSLL’s 1st and/or 2nd book, capsule menus notepads, and planning pages. 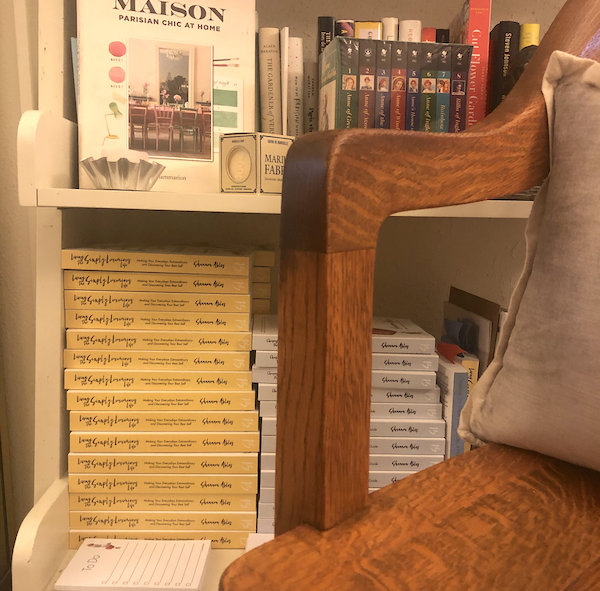 If you would like a signed copy of TSLL’s new book, or perhaps you would like to begin with TSLL’s 1st book, signed copies are always available (the below image was captured this weekend in my office – copies of both ready to ship! ), and I can also add a personalized message. 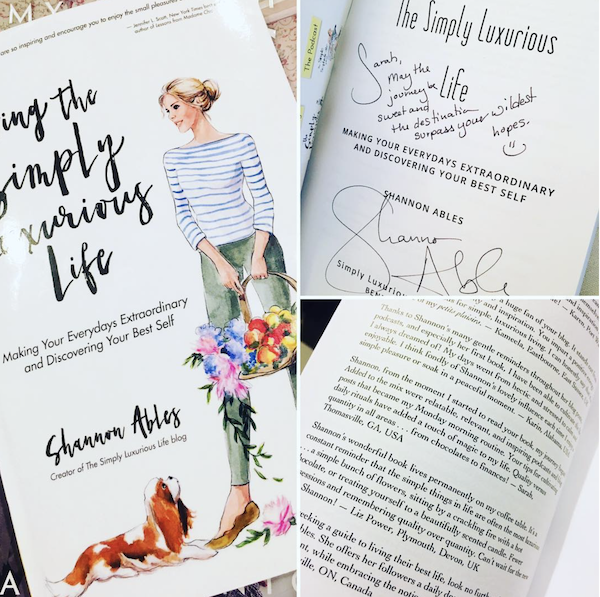 (Order a Signed Copy Here). 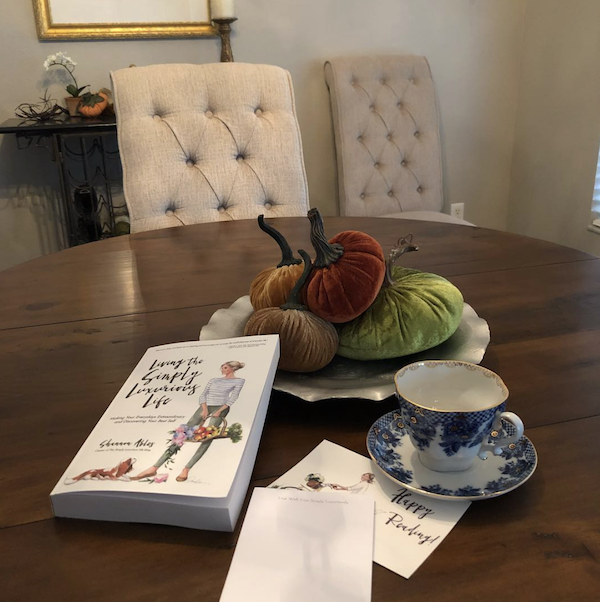 ~If you would like a copy of the book, and would prefer to pay little or no shipping, you can find the book and ebook as well on Amazon or wherever books are sold. If you are a new TSLL reader, perhaps you are wondering, what is the difference between the two books? Great question! I have answered this very question on this page (scroll to the middle). 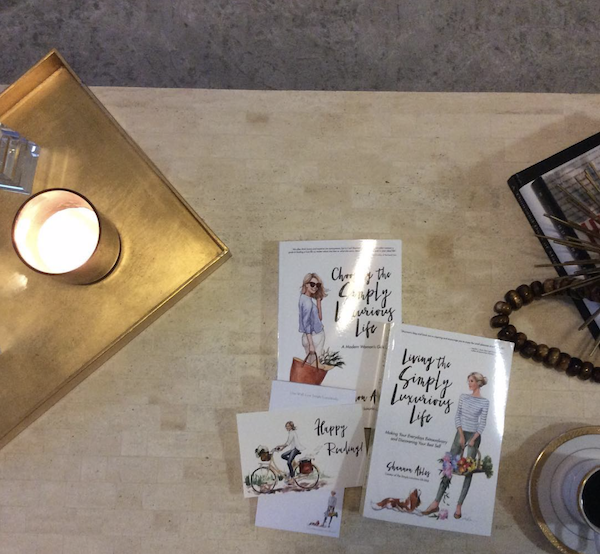 What a fun collection of glimpses into so many homes around the world.